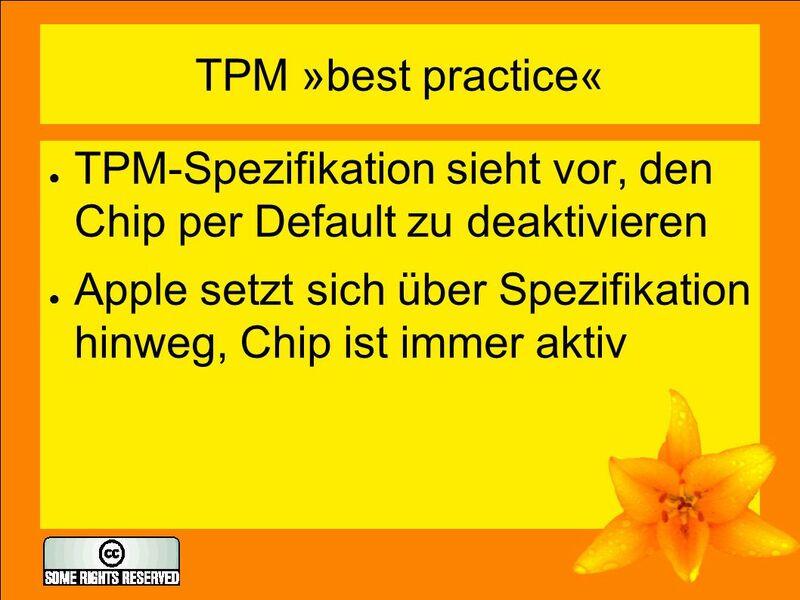 5 iTunes und Datenschutz ● Apple führt »Feature« ein, welches Interpret und Titel online überträgt ● Aktivierung erfolgte zunächst automatisch und ohne Zustimmung ● Unterschied zu Spyware? 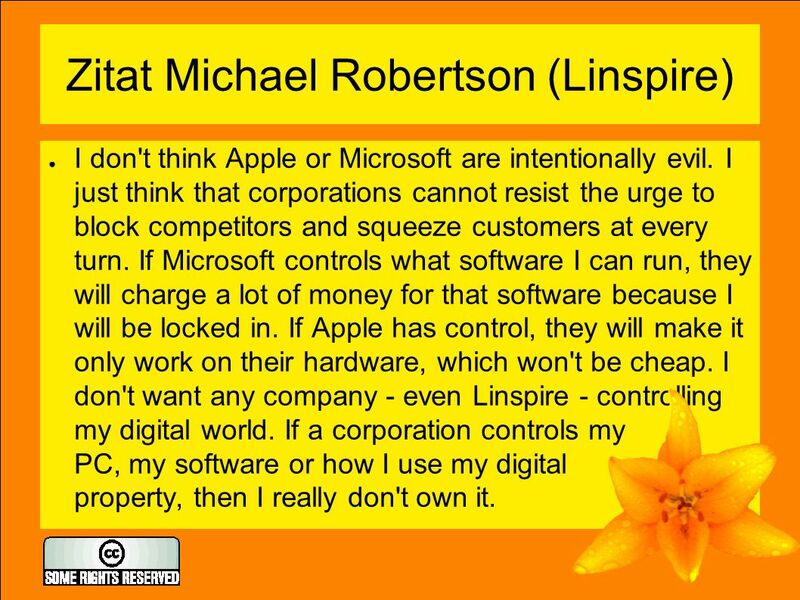 8 Zitat Michael Robertson (Linspire) ● I don't think Apple or Microsoft are intentionally evil. 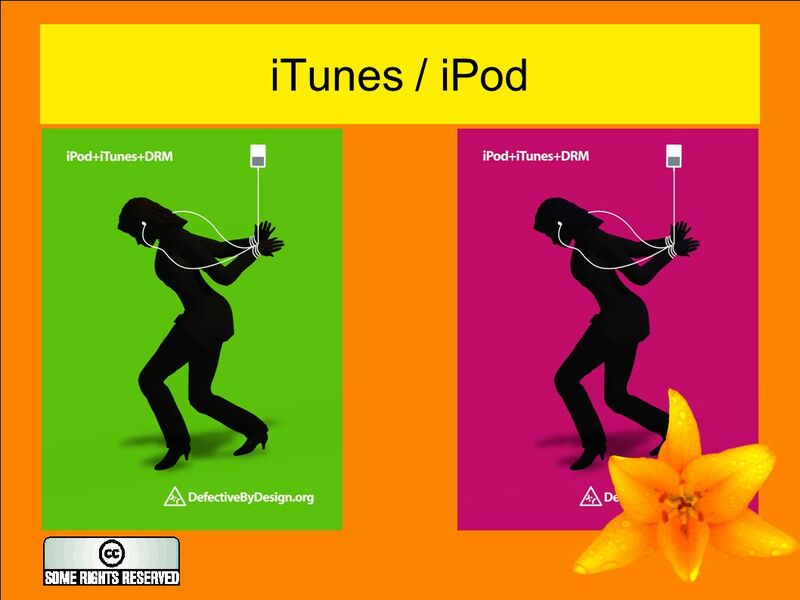 I just think that corporations cannot resist the urge to block competitors and squeeze customers at every turn. 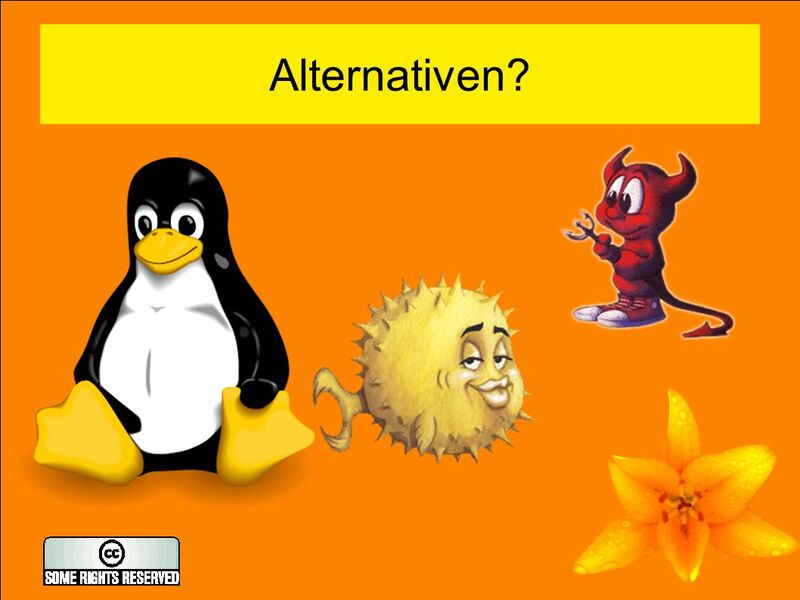 If Microsoft controls what software I can run, they will charge a lot of money for that software because I will be locked in. 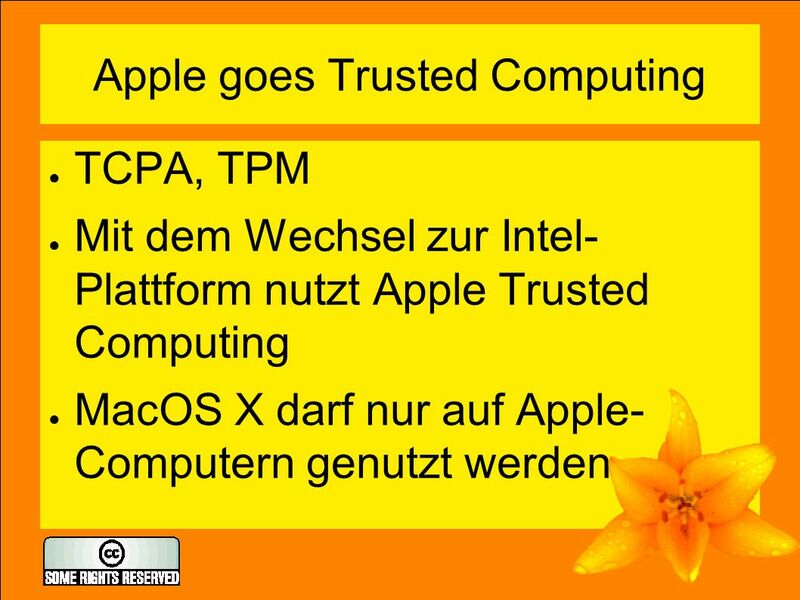 If Apple has control, they will make it only work on their hardware, which won't be cheap. I don't want any company - even Linspire - controlling my digital world. 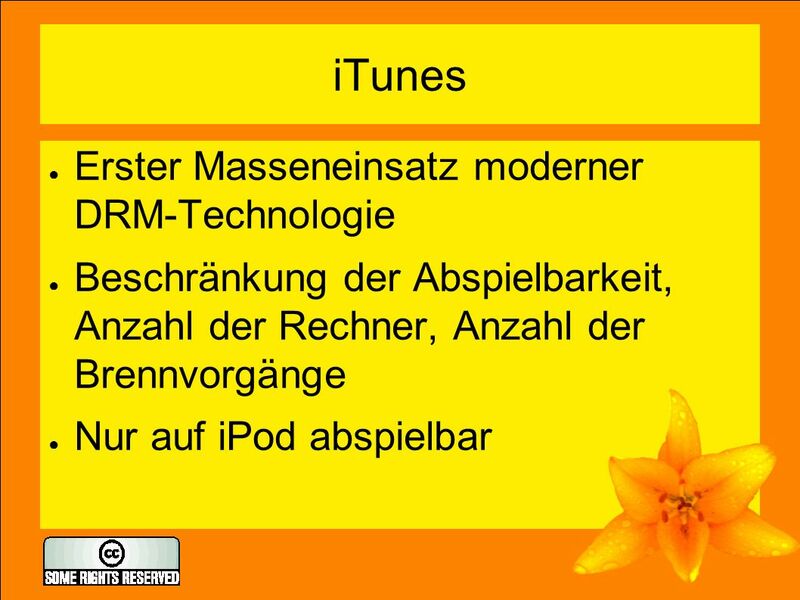 If a corporation controls my PC, my software or how I use my digital property, then I really don't own it. 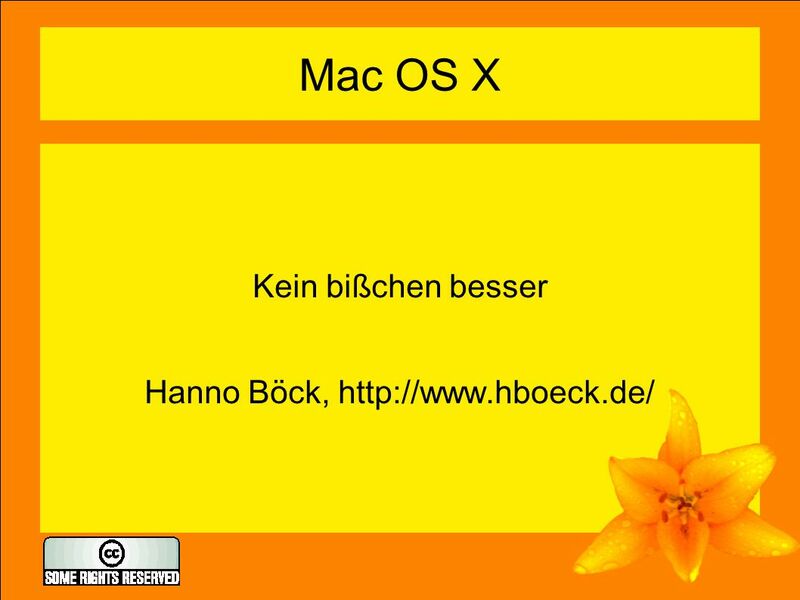 Herunterladen ppt "Mac OS X Kein bißchen besser Hanno Böck,"
My great friends let this not come to you as Meine großen Freunde, lasst dies nicht zu uns kommen, als.